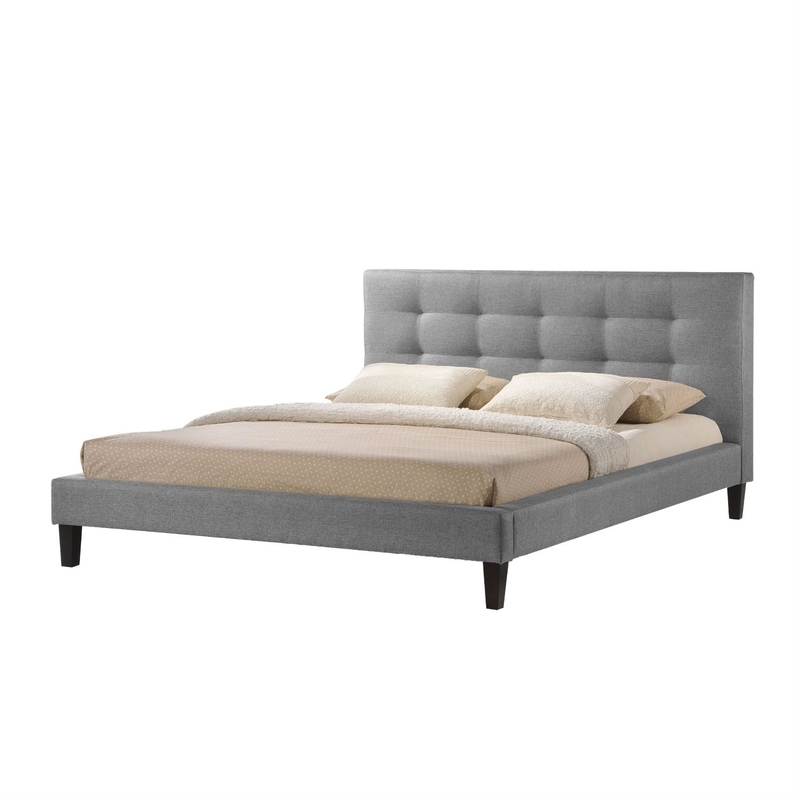 Modern and minimalistic, this King size Modern Gray Linen Upholstered Platform Bed with Headboard is paramount for the most stylish and comfortable of bedroom retreats. This king-sized upholstered platform bed frame is made of both hardwood and MDF and is fully upholstered in gray linen with underlying padding. The upholstered headboard features an attractive tufted look with seams pulled inward at the corners of the fabric panels. A slatted base makes this a platform bed with no need for a box spring. The bed includes dark brown legs, requires assembly and is also available in queen or dark beige (each sold separately). The Malaysian-made Quincy Contemporary Bed should be spot cleaned exclusively. product dimension: 68.25"W x 89.25"D x 38.75"H, side rail: 6.25"W x 81.25"D x 12"H, height to top of slat: 10.25", height of legs: 8.5".